Joint Consultative Committee (JCC) Meeting would be held with employees of the State to sort out their demands in a most harmonious and congenial atmosphere by sitting across the table and discuss all issues. 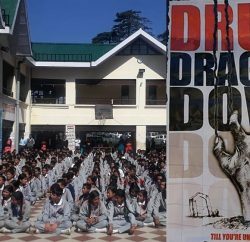 Chief Minister Prem Kumar Dhumal said it while addressing the District Kangra NGOs Federation ‘Samman Samaroh’ organised at Kangra, last evening. Chief Minister said that the state government had made cordial relations with its employees who were considered back bone of the Government. He said that the State government had been considerate and sympathetic towards the genuine demands of employees and provided them financial and promotional benefits without waiting them to ask for the same. He said that Rs. four crore would be provided immediately for starting construction work on employees housing facilities. Chief Minister said that he was well aware of the genuine problems of its employees since he had started his career as an employee. He said that common man had been the focal point of all the policies and programmes of the state government and concerted efforts were being made help him rise above the poverty line to lead a happy and prosperous life. He gave a clarion call to the employees to work for the socio-economic upliftment of such sections of the society which deserved their services most among others. 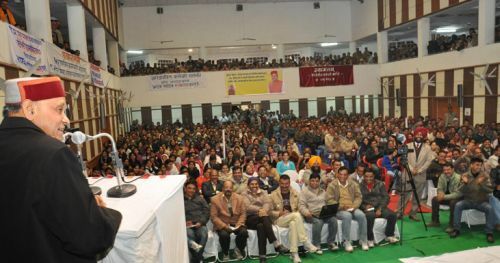 He complimented state employees for their continuous support towards the implementation of the state programmes which had made Himachal a role model. He said that despite geographical and other various impediments the State had made its mark at the national level. 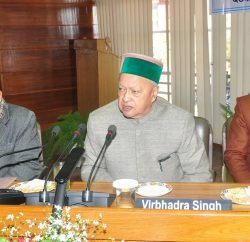 He said that close coordination among all sections of the society, implementing agencies and government departments was the need of the hour to make Himachal stay above all in the country. President District Kangra NGOs Federation Ghan Shyam Sharma welcomed the Chief Minister and thanked for his liberal attitude towards the demands of the employees accruing to delivery of financial benefits worth over Rs. 5,900 crore during past four years of governance. He said that the State Government had also sanctioned Rs.10 crore for employees housing in district Kangra during current financial year. He urged the Chief Minister for additional amount of Rs. seven crore for the same project being the biggest district since it had highest number of employees in the State. He also apprised the Chief Minister of various other demands of the employees. Ajay Khatta, employees leader proposed vote of thanks. IPH Minister Ravinder Singh Ravi, Dr. Rajiv Bindal, Health and Family Welfare Minister, Jai Ram Thakur, Panchayati Raj and Rural Development Minister, Sarveen Chaudhary, Social Justice and Empowerment Minister, Sanjay Chaudhary, local MLA, Vidya Sagar, former Minister, Trilok Kapoor, Chairman, Woolfed, R.C.Gupta, DC, Dr. Arun Sharma, Principal Private Secretary to the Chief Minister, Diljeet Thakur, SP, Sanjay Sharma, Member, State Press Advisory Committee, other senior officers, office bearers of the employees federation and prominent people of the area were present on the occasion.